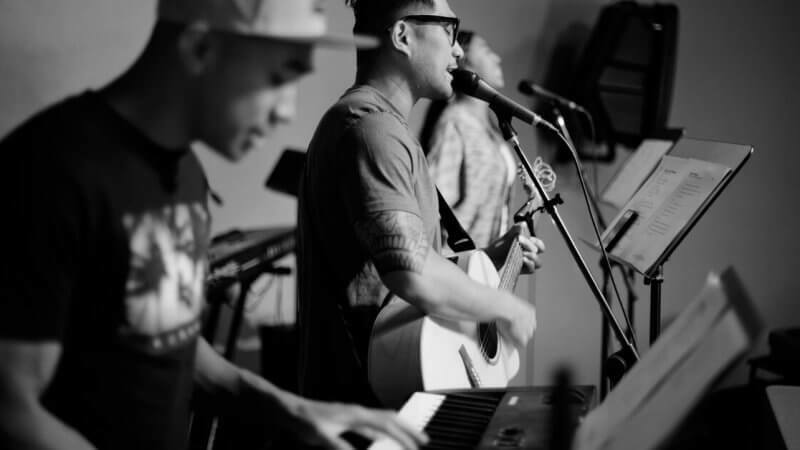 As worship leaders, most of us work with a team of volunteers. Considering the team is not paid to be there, we employ a subdued leadership style. For example, we say nothing when a team member consistently shows up unprepared. We hold back in times where a team member needs to be corrected. We let things slide week after week – after all, they are only volunteers. What if I told you that your team is looking for a confident leader? One that is not afraid to do what needs to be done to keep things moving forward. Well, more times than not, this is exactly what your team wants. Here are three ways to become a better leader, resulting in a motivated team. Be clear and direct about what needs to happen. Have you ever found yourself skipping around a problem because you didn’t want to hurt someone’s feelings? Me too. I have done plenty of ‘beating around the bush’ throughout my years as a worship leader. But, I have found that the worship team would rather have a short, productive rehearsal instead of sitting around waiting for the worship leader to dodge any chances of hurting feelings. Of course, I am not saying that you should be like Simon Cowell from American Idol. You can still remain tactful and considerate while being clear and direct. In short, tell the team what you want. Quit beating around the bush. Help overcome weaknesses by pushing their limits. In high school choir, the director would always push me to sing things I wasn’t comfortable with. I hated it then but I am so thankful for it now. Human behavior is to stick with what is comfortable. So, we need people in our lives who will push us past our limits, forcing us to improve our skill. As a worship leader, your team needs this from you. There have been many times that those on my worship team get frustrated as I ask them to do things slightly beyond their skill level. But when these very things become comfortable as time passes, they become grateful that I pushed them to a new level. Leadership is not about keeping everyone happy. It is about doing what is best for your team even when they don’t like it at the moment. Hold your team accountable while remaining flexible. Accountability is a nasty word – it means that if we fail, someone is going to tell us about it. On the flip side, it forces us to face our failures and use them to improve. It is your job as a leader to hold your team accountable to your expectations. If it is expected that worship team members should show up to rehearsal already knowing their part, then something needs to be said if a team member keeps showing up unprepared. Keep in mind, these conversations should always take place one-on-one. Never correct issues like this in front of the team. Of course, there will also be times when you need to be flexible. Maybe a team member who would usually show up prepared is struggling because they just started a new job. These are moments to be encouraging and give time for things to work out. But, if it goes on too long, don’t hesitate to have that one-on-one conversation. Great leadership leads to a motivated team. As you can see, motivating a team is somewhat counterintuitive. Most would look for ways to keep their team happy and comfortable. But what really motivates a team is great leadership. And being a great leader is like being a great parent – your team may not like it in the moment, but they will be thankful later on. Great stuff, man; haven’t been able to catch up with CW in a while and i knew i’d enjoy this one! Hope this ministry is growing and thriving because you’re really onto something bro, and thanks! But how to go from reading about it…. to actually being a doer.